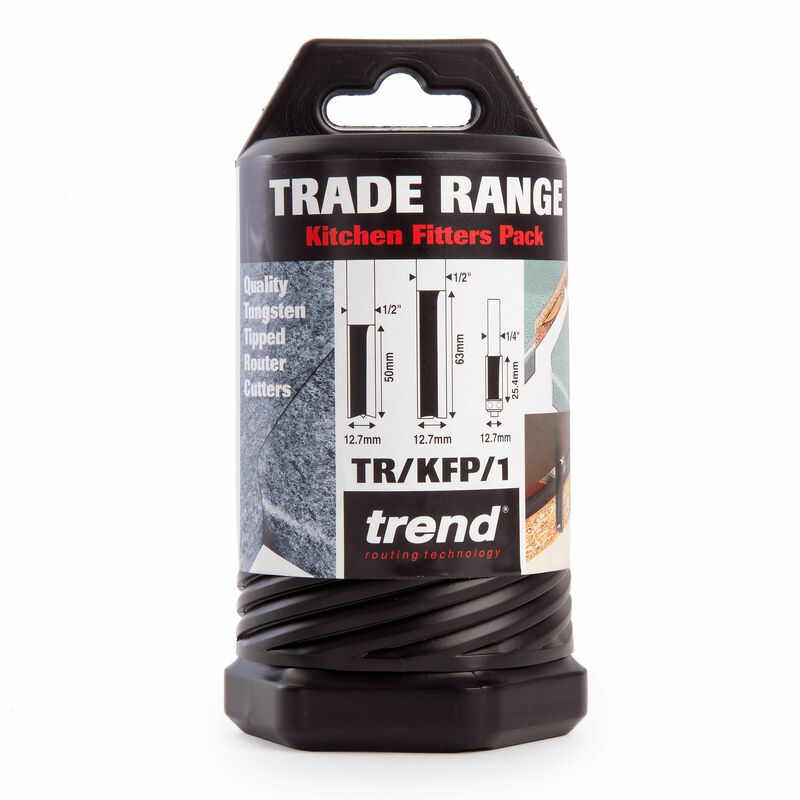 The Trend TR/KFP/1 is a four piece cutter pack aimed at kitchen fitters. The pack includes two 1/2 inch x 50mm cut length worktop cutters, one extra long worktop cutter and a laminate trimming cutter. 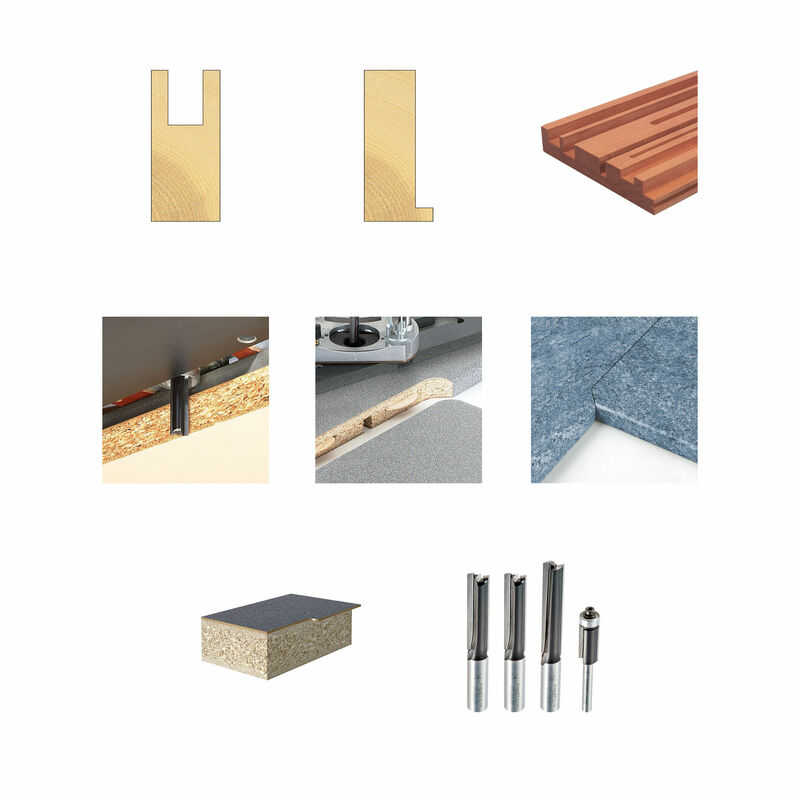 Gives a clean finish to abrasive materials such as chipboard, MDF, plywood and certain hardwoods. For housing, grooving and mortising. 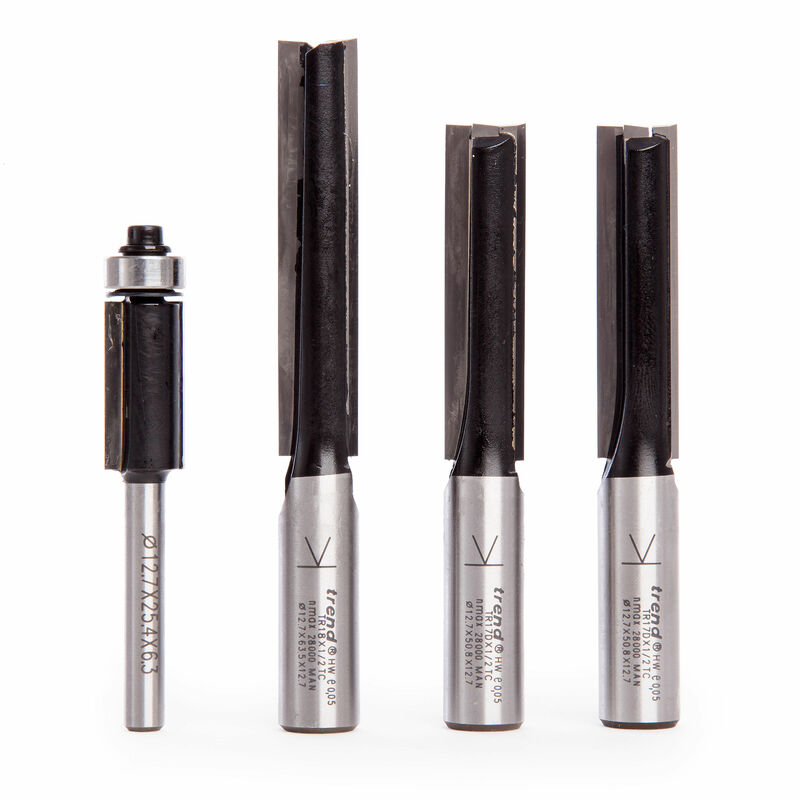 Features 2mm micrograin Tungsten Carbide tips, for cutting the most abrasive materials to give extra long life. PTFE coated, indicated by distinctive black colouring. Can be used on hardwood & softwood, fibreboard, plywood and particle board. Etched dimensions on extra long 40mm shanks.